TG209 (on sale 26 November) features John Lennon on the cover and the issue is a celebration of Lennon's often overlooked guitar talent, including seven pages of interviews and features studying his inspiration, gear and technique - from his days in The Beatles to his raw solo period. 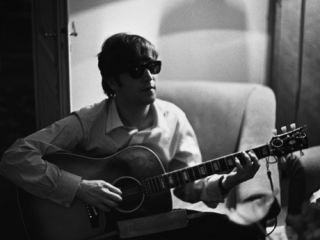 "I'm okay," John once said of his guitar playing. "I'm not technically good, but I can make it f***ing howl and move." It's a statement that not only sums up Lennon's technique, but the brutal honesty that informed his songwriting. Over the next fortnight TG will be publishing a selection of interviews, videos and quotes from some of the myriad guitarists that have been influenced by Lennon in some way. Check back tomorrow for the first interview.